Guy Kawasaki + Andy Sernovitz -- Live teleconference -- Everyone gets 2 free books | Andy Sernovitz | Damn, I Wish I'd Thought of That! Everyone gets a copy of my book "Word of Mouth Marketing" and Guy’s "What The Plus+" — his new guide to mastering Google+. Guy Kawasaki on how to master Google+: Find out exactly what Google+ is, how to use it, why to use it , and why Google+ is to Facebook and Twitter what Mac is to Windows. 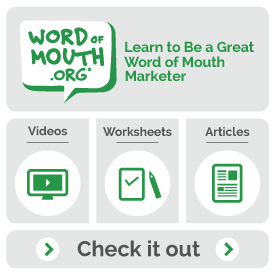 Andy Sernovitz on how to master word of mouth marketing: Learn how to get more customer referrals, better reviews, lower marketing costs, and happier customers. We’re going to get specific here: Where to start, what to do, and how to make it successful. Guess what? It’s common-sense stuff that you can use the next day without a big budget.